Experience all of Italy wrapped-up into one region with a journey that will take you from savouring Slow-food on sun-kissed rolling hills to soaking up the sunshine by the seaside. Enjoy a relaxing vacation by unpacking once and unwinding with 9 days located just steps away from one of Italy’s most beautiful piazzas (town square). This itinerary will focus on introducing you to the most iconic Italian experiences. You will meet the vintners of our territory that have etched their story in land through award-winning wines, and their passion that continues to be passed on from generation-to-generation. While we explore the territory, you will be introduced to the Italian trifecta: Food, Wine, and People, allowing you to get in touch with the culture of our territory, and learn some culinary secrets along the way. Your hands-on cooking classes will be set in the back-drop of a 17th century abbey, not only exposing you to local cuisine and recipes handed down from Nonna (Grandma), but also to the Old-world charm and pure rhythm of “La Dolce Vita”. To round out your trip you will be joined by a Fully-bilingual, 100% Italian, 100% local guide with an International culinary resume that will ensure your vacation is nothing but spectacular. Travel the road less-taken and enjoy the in-depth experience of authentic Italy that you have been craving. * Walk on top of the largest medieval fortress in Italy and experience 360 degree views of ancient olive groves & vineyards lined with Montepulciano grapes. * Visit the original purveyor of the pecorino vine and embark on a wine experience unlike any other. Welcome to Italia! Meet your guide and enjoy a comfortable ride in our private vehicle from Rome’s Fiumicino Airport directly to Ascoli Piceno. No need to wait for buses or taxis, just hop on with your guide and arrive directly at your hotel. Enjoy the scenery of the National Park on the way or simply nap to recover from your jet lag! We will stop on the way for a quick lunch to taste the best panino from Ascoli to Rome. In the late afternoon arrive to Ascoli and settle into your home for the duration of your stay. Your Hotel is located just a stone’s throw away from one Italy’s most beautiful Piazzas making it the perfect location to relax and explore the city by foot. Before dinner meet up with your guide and trip designer for an optional mini-orientation tour of Ascoli Piceno. After, take in a relaxing evening with a glass of Rosso Piceno (a variety of local red wine) and enjoy your first dinner with your fellow travellers and new-found friends. Activity: Optional pre-dinner stroll to get acquainted with Ascoli Piceno’s historic centre (time-permitting). Every day will begin with a delicious breakfast, composed of local products and seasonal pastries, served in the elegant courtyard of your hotel. Your guide will always meet-up with you at your hotel before embarking on the adventure of the day. This morning let’s take a bite out of the sweet life by saying Buongiorno (Good day) to wine country and one of Italy’s most beautiful hill-top villages! We will drive east down countryside roads to make our first stop of the day: Offida, one of Italy’s Borghi piu belli (most beautiful villages). Step back in time as we stroll through this quaint town working up an appetite for an afternoon full of wine tasting and true zero-km dining. 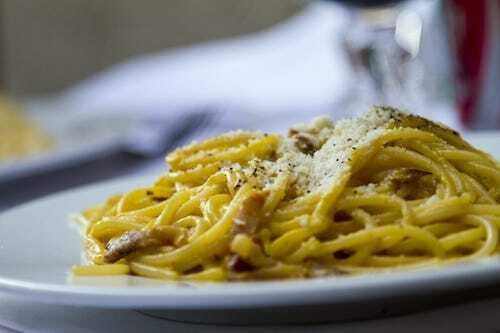 Bid Arriverderci (goodbye) to Offida’s Old-World charm and Hello to wine and dining Italian style. Today you will meet one of the owners, whose father is the original purveyor of the pecorino vine. She will take you on an exquisite journey of the taste buds, pairing local charcuterie, and rustic dishes with award-winning wines. After a leisurely lunch, you will make your way from the Cantina to the beautiful Vigneto Storico (Historic vineyard) where you have the opportunity to savor your last sip completely immersed in wine country. In the late afternoon, we will return to Ascoli. Your evening is free. Relax, take an evening walk, and enjoy dinner on your own at one of Ascoli’s many local hotspots. Wake up and ease into your day with a relaxing breakfast. Your guide will meet you at your hotel and whisk you away into the Italian countryside for a cooking class at a 17th century villa that once had its life as an abbey. Admire its beautiful frescos while you get a hands-on cooking lesson from a locally renowned chef that learned her secrets from the best, Nonna (Grandma). After cooking up a storm take some time to enjoy the fruits of your labor and breathe in the tranquility of this peaceful property with a lunch in the gardens and relaxation by the villa’s pool. In the late afternoon, your guide will meet you at the villa and you will return to Ascoli. The evening is yours to relax, take a stroll, and eat some delicious Italian fare. Today’s adventure will take us into another wine valley of our region, exposing us to a different landscape and continuing our journey of the senses. First stop of the day will be Moresco, a quaint hill-top town that is one of Italy’s “Borghi piu belli d’Italia” (most beautiful hamlets in Italy). After a quick stroll through this medieval beauty we delve deeper into wine country to enjoy award-winning wines made the Roman way. Take a journey back in time as we learn about how this unique winery still produces wine the way the Romans intended. The owners will welcome us to their cantina giving us a private tour of the production before settling in for our wine taste. Make yourself comfortable on the terrace overlooking rows of vines and sit down to taste organic wines paired with local charcuterie. Each pairing will perfectly transcend the characteristics of every bottle you taste, allowing you to slow down, completely relax and breathe in the beautiful panoramas of Fermo’s wine region. After this in-depth tasting experience, we will say our goodbyes to this unique winery and drive down country roads for lunch at a local Agriturismo (farm-to-table restaurant). In the late afternoon, we will enjoy some sightseeing in Le Marche’s idyllic countryside before making our way back to Ascoli. The evening is yours to relax, take a stroll, and eat some delicious Italian fare. Dinner is on your own. This morning we will travel to the region of Abruzzo, making our way to Civitella del Tronto, the largest and most formidable medieval fortress in Italy, which remained unconquered for over 350 years! Step inside history as we explore the fortress and experience a view like no other. A unique 360-degree view of our territory. After our visit, we will continue our journey across the beautiful valley of Val Vibrata and make our way to a family-run farm-to-table restaurant that is passionate about Slow Food and deeply-rooted traditional recipes. Here is your chance to taste some of the most authentic and delicious Abruzzese cuisine, the Arrosticini (skewered meat) is not to be missed. Not a meat lover? Then wash it all down with our favourite varietal grown in the region: Montepulciano d’Abruzzo. After getting our fork on we will weave our way through wine valleys and rolling hills to arrive at our final destination of the day: Ascoli Piceno. Your evening is free. Enjoy dinner on your own or round out the day with a perfect scoop of artisan gelato. Activity: In the morning 2 hours walking on varied terrain with some short steep inclines, sturdy shoes recommended. Wake-up, get your caffeine fix and say Buongiorno to good cooking and plentiful plates. Today you will have your second cooking class where you will learn to make our signature local dishes. Today Elena will take us on a journey from pasta to pizza, finishing it off with sharing the secrets of how to make one Italy’s most well-known traditional desserts. After cooking up a storm take some time to enjoy the fruits of your labor and breathe in the tranquility of this peaceful property with a lunch in the gardens and relaxation by the villa’s pool. In the late afternoon, your guide will meet you at the villa and bring you back to Ascoli. The evening is yours to relax, take a stroll, and find a restaurant to enjoy some delicious Italian fare. Or simply pop open a bottle of bubbly and finish off your cooking class creations! Today we will travel to the Adriatic coastline to reach the Conero Coast that is lined with Blue Flag Beaches and pristine turquoise waters. Don’t forget your camera as today’s panoramas are sure to please! After some relaxing sightseeing by foot of the local seaside villages we will make our way to enjoy the catch of the day and the best view in town. In the later afternoon we will visit Loreto’s World-Famous Sanctuary. A place of pilgrimage, legend has it that the house of Nazareth is located within its walls. An ode to Renaissance architecture and art the Basilica is ripe with history and an unique historic beauty that is not to be missed. After we will head back to Ascoli Piceno where you will have the evening free. Now is the perfect time to head out for a Passeggiata (stroll) or grab an evening Aperitivo (cocktail with small plates). Still have room for another plate of handmade pasta or want a romantic evening out? Ask your guide for tips of where to get your fork on! Activity: 1.5 – 2 hours light walking in the morning, optional afternoon stroll along the seaside. Today you will meet your local guide and resident Ascolana (Person from Ascoli Piceno) for a privately guided walking tour of Ascoli Piceno, which is heralded for one of the most beautiful squares in all of Italy! By foot we will explore Ascoli’s magnificent piazzas, and visit the beautiful Duomo, all while learning about the art, culture, and history of the powerful people called the Piceni. After working up an appetite we will travel to the land of Tartufo Nero (Black Truffle) for lunch at a family-run establishment where Nonna is known for making the best Olive Ascolane (stuffed olives) in this neck of the woods. After a leisurely lunch with your fellow travellers, we will travel through the countryside to the foot of the Sibillini mountains. We will enjoy a walk through one of our local mountain villages which was once an old Roman outpost and then make our way to a beautiful panorama of central Italy’s majestic mountain range. In the early evening we will return to Ascoli. The evening is free to relax, pack your things, and enjoy one last passeggiata (stroll) through Ascoli’s beautiful town squares. Dinner is on your own. After a final breakfast, it is time to say goodbye to your Italian on Tour guides and your new-found friends. You will be driven to Ascoli’s bus or train station connecting you to the next leg of your trip. Should you wish to stay longer in Ascoli or explore Rome, Florence, or elsewhere, your guides will be happy to help you book your own alternate travel arrangements. Until next time “Arrivederci”! Travel to and from Italy, travel & trip insurance, any other meals not noted in the itinerary, items of personal nature, return transfer from Ascoli Piceno to Rome or elsewhere, excursions not listed above and any items not mentioned in the itinerary. Prices subject to currency fluctuation.